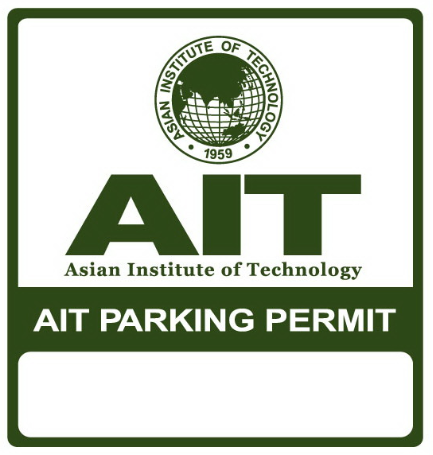 All AIT-resident cars are given a sticker, in order to identify their parking authorization. The residents should park their cars at the parking nearest their residences. Overnight parking in the academic area will not be allowed. 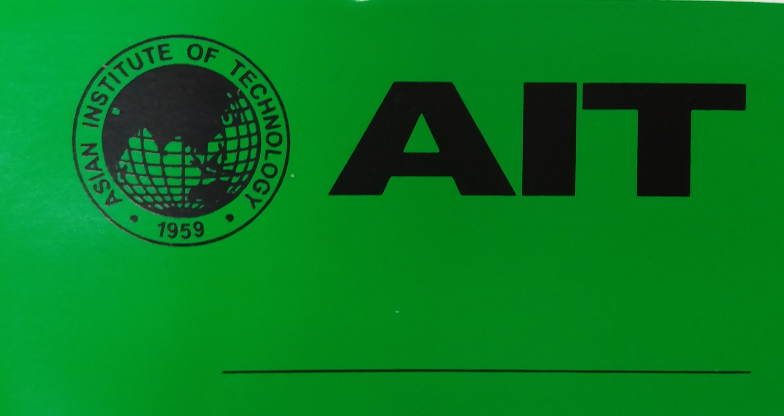 All AIT non-resident cars, classified as students, faculty, staff, Outreach tenants and concessionaires are also given with sticker that would make it easier to check whether the car is allowed to stay overnight. Pay 20 baht to the Cashier for the sticker. Present original receipt issued by the AIT Cashier to the security guards at the Main gate, together with a copy of employee ID/employment contract If student, present a copy of student ID. and car registry book. Car Sticker and bicycle sticker are issued at the Main Gate during the AIT office hours. Residents of faculty and staff housing units – AIT Housing Lease Agreement/AIT resident ID card. The validity period of the parking permit will depend on the duration of the applicant’s employment contract or the lease agreement. For students, the basis would be the expiration date of their ID card. The security guards reserve the right to check AIT-sticker cars entering or leaving the campus on random basis and as necessary.